Avail extra 30% off on bedding items which are already on sale at Gilt. Use the voucher code at checkout tab to see the discounted price. Shop from Today’s Deals for home and get amazing discounts on exciting collection of home accessories updated daily at Gilt. Get 10% off on your first order with out any exclusion items at Laura Ashley. Discount Code must be used at the checkout in order to avail 10% off. Shop sofas and chairs on 40% discount + get additional 10% discount on entering Laura Ashley discount code at checkout. 40% off Decorating at Laura Ashley and 10% Discount On Sitewide with Code. Get 40% off Ready Made Curtains at Laura Ashley. 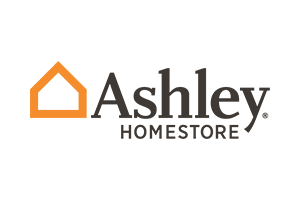 Get up to 40% off on home furniture clearance sale at Laura Ashley. To get an extra 10% off your order use the provided Voucher Code till the deal last. Get up to 80% off on home decorating clearance sale at Laura Ashley. You can also use the provided Voucher to get an extra 10% off you order. Last chance to get up to 80% off on home accessories clearance sale at Laura Ashley. This is a special deal and you can also use the given coupon to get an extra 10% off. 20% off on 1 item In-Store when you sign-up with email. 10% off on all online order by using the coupon code. Free shipping on all your order of $29+. Receive upto 50% off on clearance items plus also get free shipping on order over $29.